The relationship between Women's Professional Soccer and team owner Dan Borislow has generated fireworks from the start. Court documents from the two suits filed by Borislow against the WPS over the past six months reveal the key dates in this drama. Dec. 2: Dan Borislow buys a majority stake in the Washington Freedom from John and Maureen Hendricks, who had owned the team through 10 years of play in the WUSA, exhibitions, W-League and WPS. Borislow is given permission by WPS, according to the league's motion in opposition documents filed in Dec. 2011, to change the team's name to "magicTalk" and to split its schedule between the Washington area and South Florida. 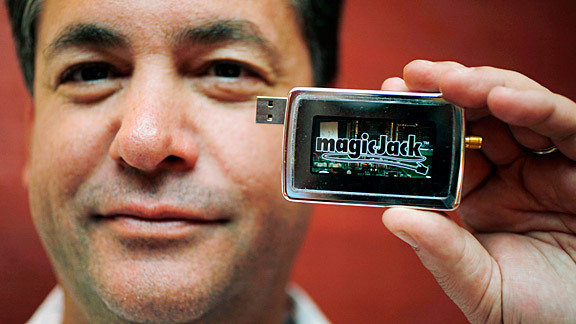 Borislow, an entrepreneur, invented the magicJack device and owns the company that produces it. December: Borislow lays off the Freedom staff. WPS offseason: WPS Board of Governors chairman T. Fitz Johnson, also owner of the Atlanta Beat, arranges a meeting with Borislow and the president of Puma to resolve issues over the team's name change and new uniforms. According to the league's motion in opposition, "the dinner meeting seriously backfired," as Borislow insisted that Puma provide him with new uniforms, leaving Puma with "a significant amount of inventory." The league claims Borislow also refused to pay for the new uniforms for his team, now named "magicJack." "Ultimately, Puma's negative experience with Mr. Borislow factored in its decision not to renew its sponsorship of the League during the 2012 season," the league argues. Jan. 14: Former U.S. goalkeeper Briana Scurry, who finished her playing career with the Freedom, represents Borislow's club at the WPS draft. She confirms she has been hired by the club. April 16: magicJack's season opener at Philadelphia is postponed due to inclement weather. The team had played no public preseason games. April 23: magicJack plays for the first time, winning 1-0 at home against Boston before an announced crowd of 1,224. April 26: WPS notifies Borislow that his team violated several operating standards in its first home game, including failure to display sponsor sign boards, failure to upload video to the league's site for scouting purposes, lack of an ambulance and EMS staff at the game, failure of the coaching staff to wear required Puma attire, an undersized field (league minimum is 66 yards wide), lack of seating for a minimum of 5,000 fans, lack of press accommodations, lack of player availability to the media, and a past-due balance of $53,166.67 owed to the league, according to the league's motion in opposition. May 4: The league again penalizes Borislow for violations of operating standards for its second home game on May 1. May 8: magicJack's third home game draws an announced crowd of 952. May 12: The league penalizes Borislow a third time and deducts a point from magicJack in the standings. May 18: WPS suspends Borislow from his coaching role for two games and fines him in response to what it calls "defamatory statements." June 14: WPS notifies Borislow that is considering terminating his ownership rights, offering him a chance to present his case to the Board of Governors on July 15, according to the league's legal filings. Borislow responds that he is unwilling to go through that hearing without going through mediation first, according to a WPS exhibit (Exhibit 42). July 8: The WPS Players Union files a grievance against Borislow on behalf of magicJack players, citing "inappropriate statements and conduct toward his players, and players' fear of improper retaliation by Mr. Borislow based on their grievance," according to the league's motion in opposition. Borislow is later banned from the sideline for the rest of the year. July: Scurry parts ways with magicJack. July 15: Attorney Louis Ederer contacts WPS on Borislow's behalf. July 17: Japan defeats the U.S. in the Women's World Cup final. July 19: WPS attorney Pamela Fulmer informs Ederer that the league will offer another chance for Borislow to have a hearing with the board, the third offer of such a hearing, according to the league's motion in opposition. July 20: In the aftermath of the Women's World Cup, a crowd of 15,404 sees magicJack play at Western New York. magicJack's Abby Wambach, who grew up in the area, addresses the crowd at halftime. July 21: Ederer requests a pretermination hearing in early September, after the end of the season. July 22: Wambach is named magicJack's player-coach. July 27-30: magicJack draws 2,386 fans for its first post-World Cup game on a Wednesday night, then 3,064 fans for its first weekend game after the Cup. July 31: After some back-and-forth about hearing dates, the league tells Borislow it doesn't want to delay a hearing, but is willing to let him continue operations for the rest of the season, according to the league's motion in opposition. Aug. 2: Borislow files a lawsuit in Palm Beach County (Fla.) Circuit Court seeking to prevent WPS from terminating his ownership rights. WPS says it had no plans to terminate his rights before the end of the season. Aug. 5: According to WPS Exhibit 53, Borislow's side stipulates in a legal filing that the league has indeed agreed to allow him to continue operation through the end of the season. The timing is important -- WPS would use this stipulation to claim that it never dropped its termination process against Borislow and that its eventual decision to terminate in October was not a "new" process. Aug. 10: magicJack draws its largest home crowd -- 4,011 -- for a game against Western New York. Aug. 17: magicJack defeats Boston in a home playoff game, the first game televised from its home field at Florida Atlantic University. The announced crowd is 2,075. Aug. 20: magicJack loses to Philadelphia in the WPS playoffs, ending the team's season. Aug. 24: Borislow drops his lawsuit against WPS. Aug. 27: The WPS season ends, with Western New York winning the championship at home before a crowd of 10,461. Aug. 31: WPS announces that CEO Anne-Marie Eileraas is stepping down after one season. Sept. 23: Western New York owner Joe Sahlen sends an email to league owners in advance of a Board of Governors meeting: "It is my sincere hope that we are able to resolve last year's differences and work toward a successful 2012 season." Sept. 26: WPS names Jennifer O'Sullivan its new CEO. Oct. 25: WPS terminates Borislow's team. The league says little publicly about the termination. In legal filings, WPS says Borislow was invited to attend the Board of Governors meeting discussing the termination but did not do so. Nov. 8: Borislow asks WPS for "the reasons why the League gave the Team no prior notice, and no opportunity to be heard." Nov. 9: WPS declares the opening of offseason free agency, letting players -- including those who had played for magicJack in 2011 -- sign with other clubs. Nov. 10: Fulmer responds that the termination was a continuation of the dispute from the summer. Borislow's motion contends that some language in Fulmer's letter is a concession that a new dispute existed and that Borislow never had a chance to address this dispute. Nov. 18: Borislow files a new lawsuit in Palm Beach County, seeking reinstatement of his team. Nov. 20: U.S. Soccer delays a decision on WPS's sanctioning for 2012, giving the league 15 days to expand from five to six teams. The federation's minimum for a Division I league is eight teams; WPS has obtained waivers in previous years. Dec. 6: Judge Meenu Sasser denies WPS's motion to dismiss Borislow's suit and/or change the venue from Palm Beach County. Dec. 13: U.S. Soccer conditionally approves WPS's request for a waiver to play as a Division I league with only five teams. Jan. 13: The WPS draft is scheduled to be held in Kansas City.